Well hello to you my reader chums! After obsessing over and raving about the incredible L'oreal's Infallible primer, I decided to pick up the matching foundation to see how they would work as a pair. Even though the primer is loved by many, the foundation had varied reviews so I was a bit hesitant when testing it out. I've previously done an in depth review on the L'oreal primer, however I could rave about it all day. The primer has a thick consistency that when blended onto the skin feels incredibly soft. It takes a bit to fully work it in but once sunk in, does wonders. The transparency I prefer to a coloured primer as it doesn't feel like you've layered your face with loads of products. My favourite thing about the primer other than how long makeup lasts, is the mattifying element. It has the ability to keep the shine at bay all day long meaning there's no need to carry a powder with me to keep dusting my T zone. This beauty fixes it all and means I can wear my makeup, worry free all day long. If you haven't tried it and suffer with oily skin or just an oily t zone like me, it'll be your makeup saviour. I'm always a bit hesitant trying out new bases as essentially it's the main element to your overall look. Therefore if it doesn't sit well on your skin, the rest of your base makeup won't apply as easy. Despite this, I took the plunge tried out the foundation and was very much surprised at the outcome. Coverage: I was initially quite surprised about the variation in coverage of this product; it's very buildable. 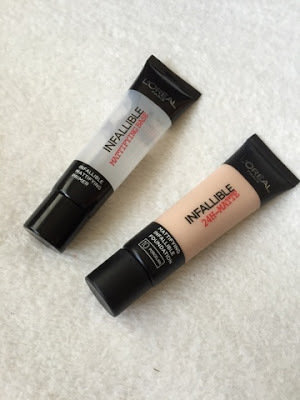 Whether you'd like a light, natural look for an everyday basis or a medium coverage to hide a multitude of sins on a bad skin day, this foundation has got you covered. Consistency: I have to admit, the consistency of this foundation is rather unusual than others I've tried. Once spread over the skin, ready to blend, you have to work quite quickly otherwise I've found it clings and dries. Through blending onto the skin, the texture isn't watery yet has a slight drying ability which helps set it in place and build coverage. With that factor it means if you have dry skin, this foundation isn't for you, however for me it works perfectly. The consistency means the overall finish is very matte and keeps shine (if I have any) at bay. Shade: When it comes to buying foundations, I'm the worst at picking the right shade as I have such a pale complexion. I opted for the lightest colour and on the first application found it was only a tad too light for me, something a dust of powder however could easily fix. Lasting power: This has to be one of the most important factors in a foundation - will it last on my skin throughout the day? It certainly does. I wore it when I went to London on Thursday, I applied it around 10am and didn't get home to 3am the next morning after a concert; safe to say it still held well, despite the lengthy wear. Together, you couldn't find two better products that work hand in hand. Obviously as they're from the same range, you'd expect this to be the case and luckily it lived up to that status. 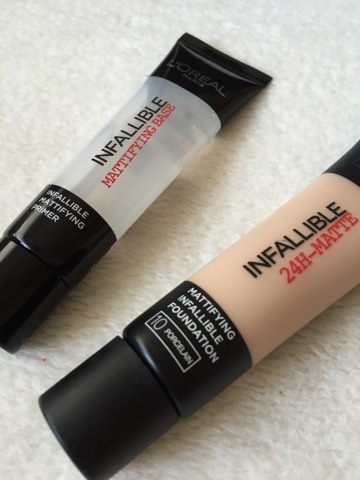 Paired, the mattifying effect works like a dream, keeping shine away and pro-longing the makeup wear. After applying the primer, the foundation blends easier onto the skin, setting nicely and giving a natural overall finish. 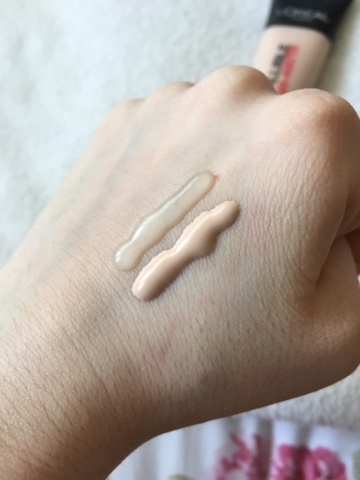 Despite the thickness of the primer, the foundation is quite light meaning when used together, the final combination doesn't feel cakey at all. To achieve a medium coverage, matte look, these products have been my go to duo; I'm obsessed! I hope you enjoyed this review style post. 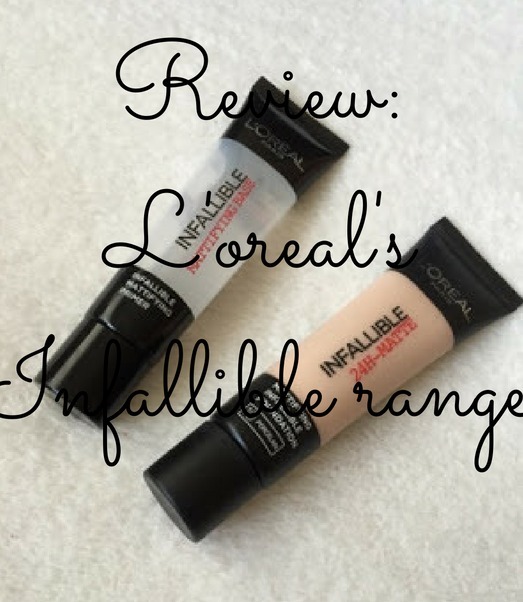 Have you tried L'oreal's Infallible range? Very helpful post, thank you! I've been looking at both of these products for a while and I also have a pale complexion so this is great to know about the shades! I love the foundation it's one of my favourites now, it's brilliant as I love a matte finish as well as the build-able coverage! I'd really like to try out the primer as from the look of it it reminds me of the Smashbox one but at a more affordable price. I've recently rediscovered both of these and forgot how good they were! I think I need to try this primer! I have the foundation and it took a while to grow on me but now I love it, I've almost finished my tube. My skin is super oily though so I really like the sound of the primer :) Fab review!